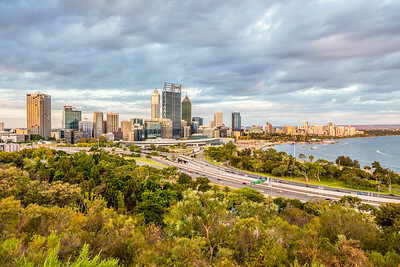 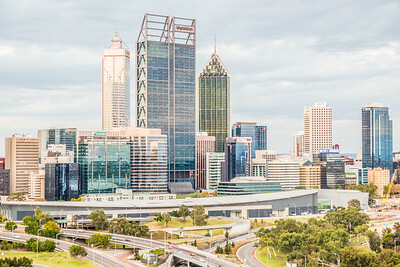 Perth around sunset from King's Park. 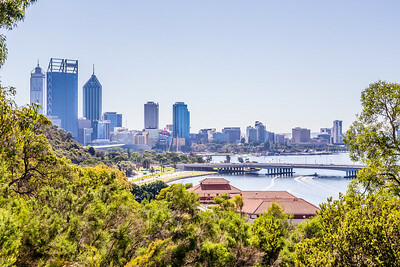 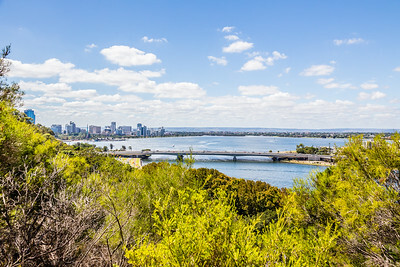 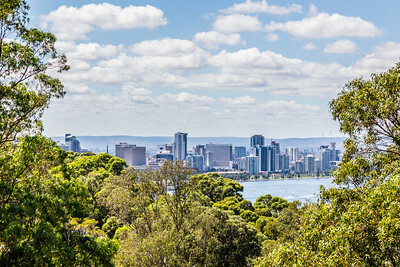 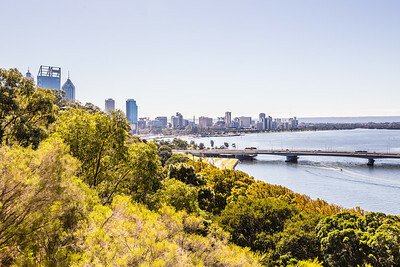 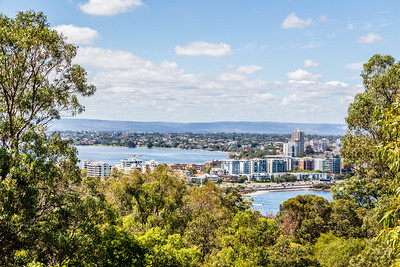 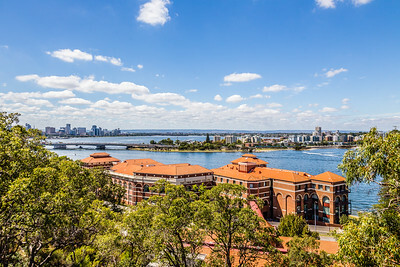 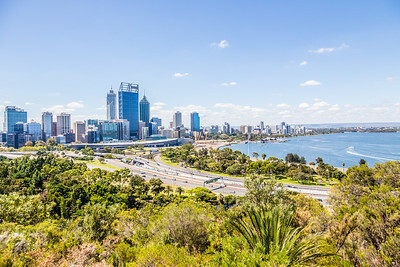 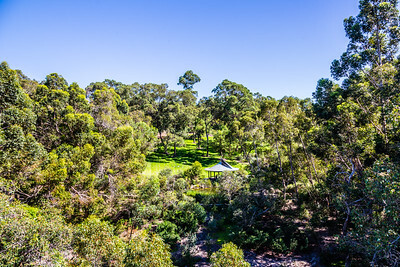 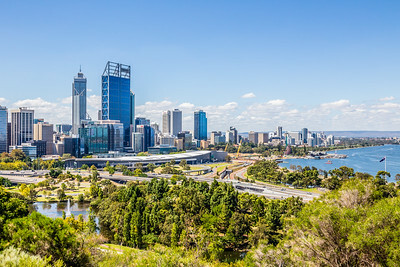 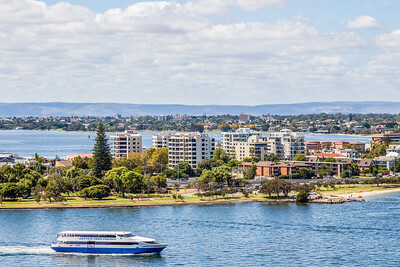 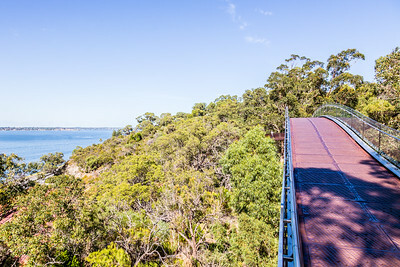 A nice view of the Swan River, which runs through Perth, from up in Kings Park. 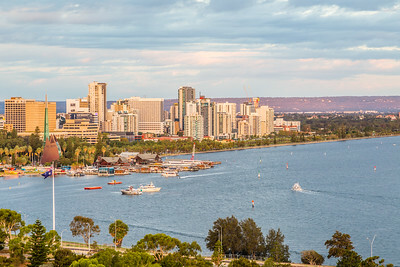 The big set of buildings on the shoreline is the Swan Brewery. 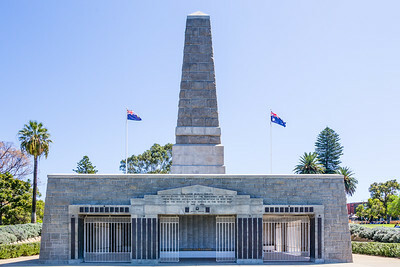 There seems to be a very large # of monuments and such in Australia. 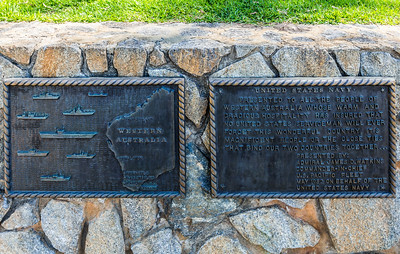 These two are plaques given by the US Navy in 1982. 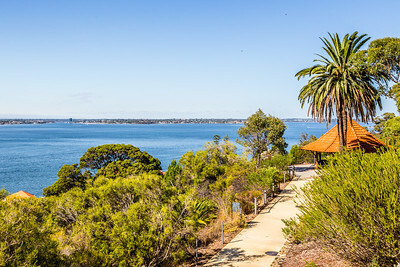 They're mounted knee height along a walkway in Perth at Kings Park. 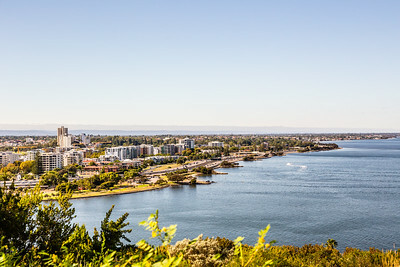 We could have at least given them a statue or something. 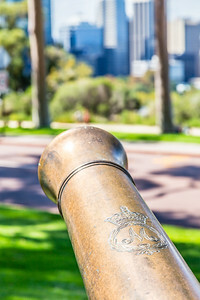 A British cannon from the 1800s at the Queen Victoria statue in Perth. 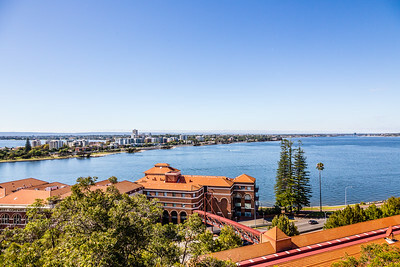 I tried to look up the seals that are on the cannon but there doesn't seem to be any good way to do that search.